At the 2014 Commonwealth Games in Glasgow, English Gymnastics Chairman, Martin Laws, was co-opted onto the Commonwealth Games Confederation (CGC), specifically to look at developing Trampoline. A year late, the first Commonwealth Junior Trampoline happened in Namibia, following Martin's success in getting all of the Technical Regulations and Rules into place and ratified by the FIG. During this event Trampoline, Artistic and Rhythmic all took stage together, under Martin's direction of the event. At a Meeting of the General Assembly of the Commonwealth Games Confederation (CGC), held during the Commonwealth Games on Sunday 8th April, Martin's nomination to be re-elected into the Trampoline Technical Representative position was submitted but in a turn-around of events, Martin was actually elected as the new President of the CGC. This will be as well as retaining his role as Chairman of English Gymnastics. 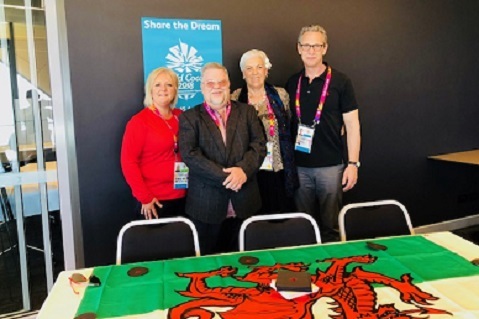 During the General Assembly, Martin promised modernisation of the organisation and, along with Helen Phillips from Wales, Meetings have already taken place to set the wheels in motion. English Gymnastics would like to congratulate Martin on his new additional role and wish him all the very best in his future endeavours with the CGC.